Client Ratings Bill Bhamra has been rated by 111 clients. I grew up in Edmonton with a family that was involved in residential real estate and the construction business. By the age of 14, I was looking after several investment properties owned by my parents. After high school, I had the privilege to travel and see various parts of the world, which really helped me focus on my future career. By 1987, I was finished with my studies and pursued a career in the Information Technology field. For over 25 years, I was involved in the Information Technology field within the private and public sector. In addition, I have managed small consulting firms delivering services for large corporations within Canada and US. Along the way, I have always had a special interest in the real estate industry and have built and developed a number of my own successful real estate projects. In addition to my passion for the real estate industry, I really enjoy working with people and have learned to develop strong relationships based on trust and excellent customer service delivery, which lead me to my career in real estate. It’s true what they say, that “when you look at your life, the greatest happiness is family happiness,” and it’s an undeniable fact that my family and friends and spending as much time with all of them as possible are my passion. My hobbies vary from working out, to hockey, racquetball and bike riding. I have always been fascinated by martial arts and have had my children participate in martial arts for the past ten years. Watching them receive their black belts in Karate and knowing I had a part in motivating them was a great “proud dad” moment. We had an excellent experience with Bill Bhamra. We really came to trust his knowledge of the area and his opinions on the potential pluses & minuses of the houses we looked at. When it came time to make an offer, Bill's negotiation knowledge helped us get our house for less than we expected. As first-time home buyers, it was a big comfort knowing that we were in good hands. 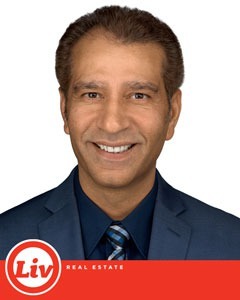 We would absolutely recommend Bill Bhamra and look forward to working with him again in the future. It must of been "Fate" that brought Steve and I to Bill Bhamra. We knew the moment we met Bill he was our man. Having no experience with selling a high end home, Bill took us under his wing and made us feel important and at ease. Bill goes out of his way for all of his clients, shows wonderful qualities and amazing work ethics. if you don't believe me, just read all of his 72+ reviews. Bill, you truly are a blessing. Thank you. Despite the challenge of having to deal with Bill from a considerable distance,we felt that Bill was with us all the way and did a terrific job.An all round nice gentleman.